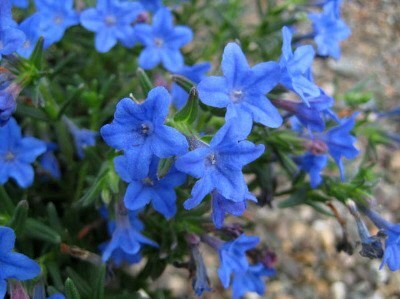 Lithospermum (as it used to be named) Heavenly Blue is a classic plant, grown for generations and remains as popular as ever. Stunning dark blue flowers in late spring/early summer on low, prostrate, small-leaved carpets, it will also repeat-flower off-and-on all summer. Very popular and a best seller.